Dom Pedro Hotels & Golf Collection, one of Europe’s most renowned golf and hospitality brands, has opened its entries for amateur golfers to sign up to play in the Grande Troféu Vilamoura from 4-7 December 2019. 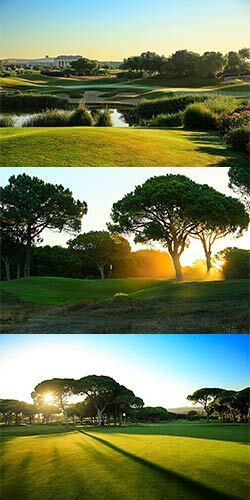 This 54-hole event is one of the most prestigious amateur tournaments held in Portugal, with three days of challenging yet entertaining golf for all competitors. 120 male and female golfers will battle it out over the Dom Pedro Old Course Golf Club, the Dom Pedro Pinhal Golf Course and the world-renowned Dom Pedro Victoria Golf Course, home to the Portugal Masters since 2007. On top of the golf, lavish hospitality is also a key part of this package. This includes a welcome cocktail evening at Trivoli Marina Hotel Vilamoura, a gala dinner and show at Vilamoura Casino, a locally-inspired Portuguese-themed dinner at the Hotel Dom Pedro Vilamoura, as well as a closing prize ceremony and cocktail evening. All guests, playing and non-playing, can enjoy a special tournament rate including four nights bed and breakfast accommodation at Dom Pedro Vilamoura, provided they use the reference code 32GTV19 and contact Paula Reis on vilamoura.booking@dompedro.com. With entry starting from €350, including three rounds of golf and four evenings of entertainment, players can register for the tournament via the following link. 16 prizes will be awarded in total, including for the best net and gross scores in the general classification, as well as male and female categories. For more information, please follow Dom Pedro Golf on Twitter, Facebook and Instagram - @dompedrogolf.